If you dream of refinement and little corners of paradise at the edge of the Mediterranean, then look no further! 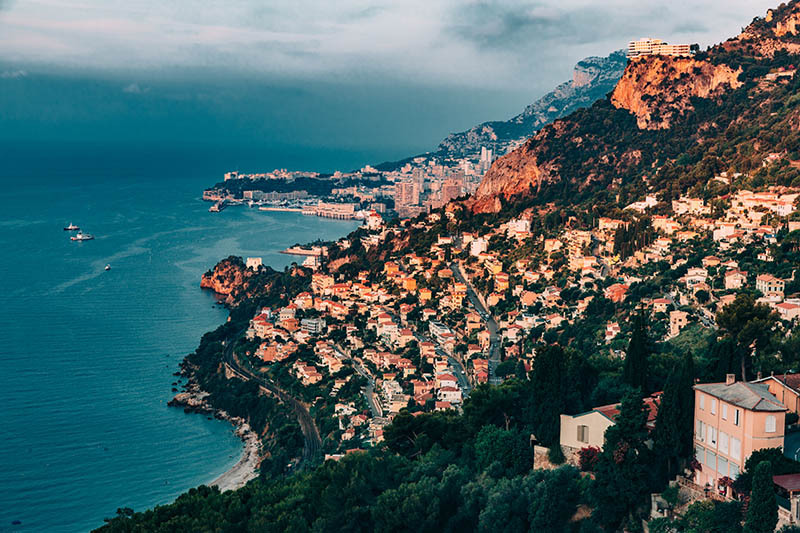 This route from Saint-Tropez takes you along the French Riviera, passing by Cannes and the Promenade des Anglais in Nice, finishing at the Italian border in Menton. Between beaches and luxury boutiques, gourmet restaurants and old towns, your course offers superb detours in the pre-alpine highlands, for breathtaking views of the coastline. 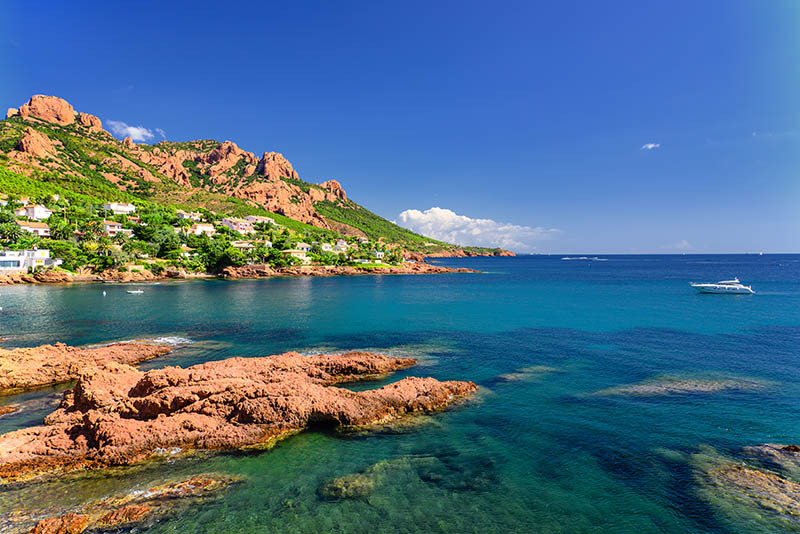 The journey begins in Fréjus, anancient Roman port, now a popular family resort, home to an unmissable ancient city and medieval town sheltered under ramparts. From here, drive to Saint-Trop ‘ for ice cream on the old port and climb up to the Semaphore. Admire the elegant ochre and pink houses, against the backdrop of the citadel, and stroll through luxury shops, then head for a tour of the Gulf. 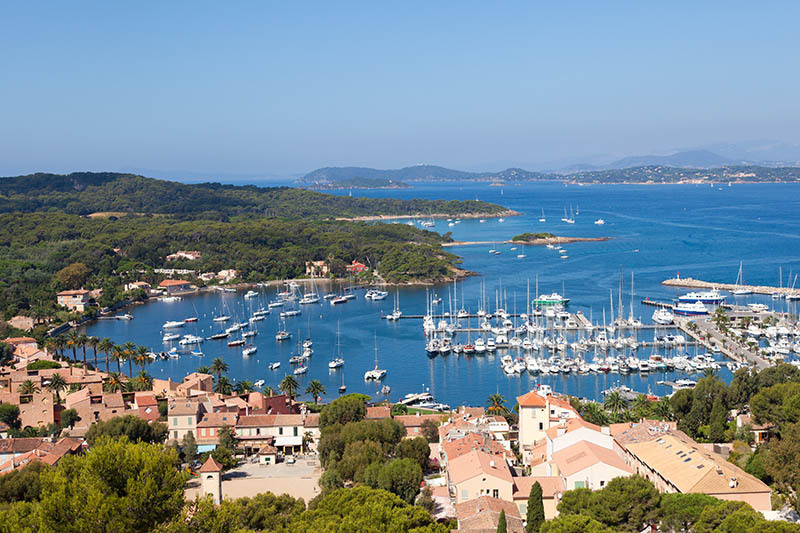 Stop at Port Grimaud, a little Provencal Venice, and Sainte-Maxime, an elegant little family resort. 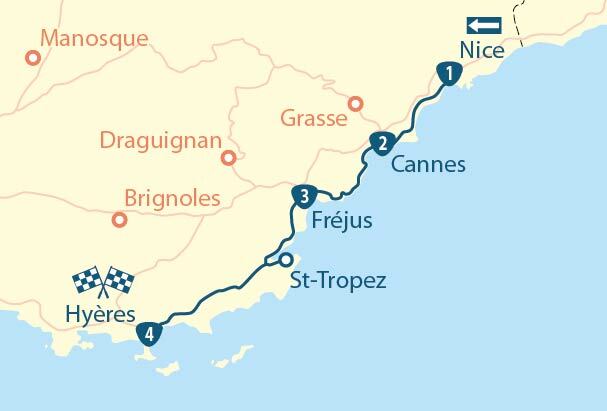 Follow the coast to reach Cannes: a route slightly longer but far more beautiful than by road. 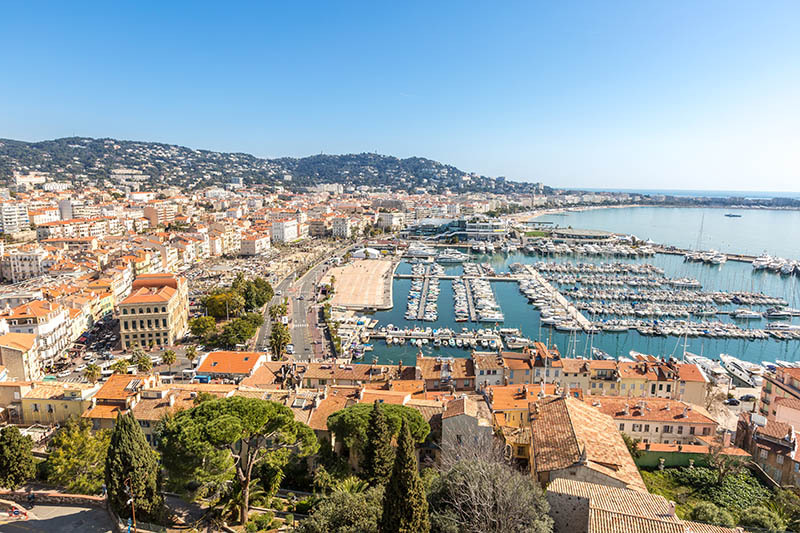 Famous for its film festival and its Croisette, both are well worth a visit, the city has much more to offer! 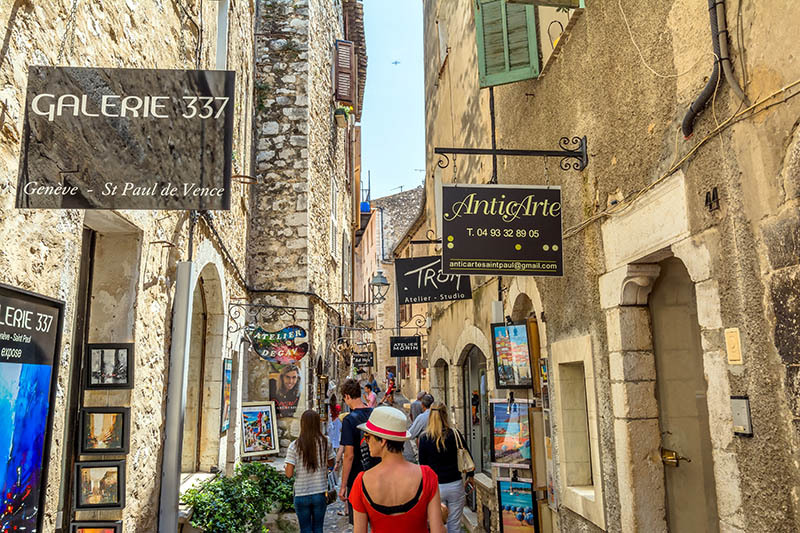 Don’t miss the old town and the Suquet, a small paradise set slightly away from the frenzy of Cannes. Enjoy luxury boutiques and art galleries in the city centre or bask on the fine sandy beaches. 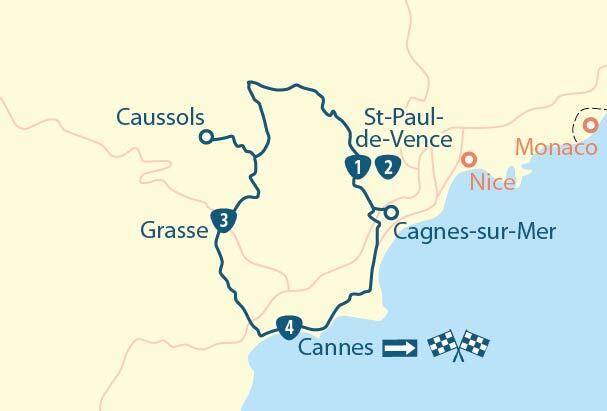 Get ready for a (light) road trip in Pays de Grasse, on a pre-alpine plateau. 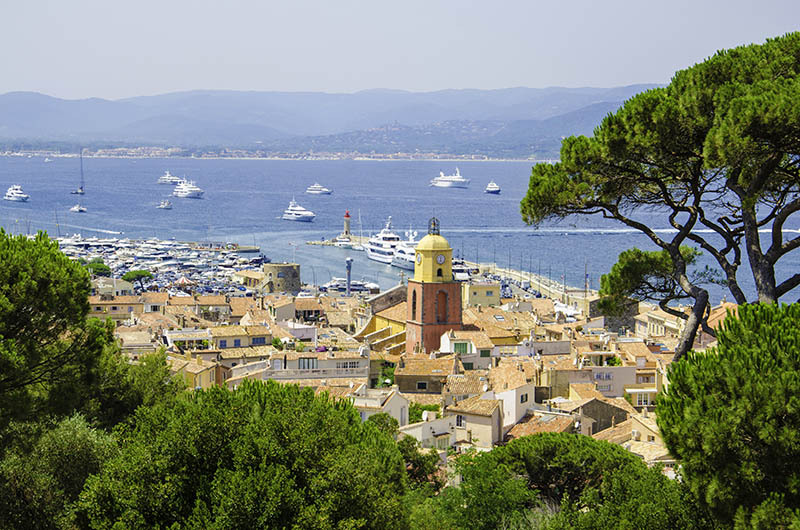 From Cannes, climb up to Grasse, the perfume capital, as you will sense at the International Museum of Perfumery, as well as at Gallimard and Fragonard. Next, head up to Gourdon, a charming little ‘eagle’s nest’ village offering exceptional views of the Gulf and the Baie des Anges. 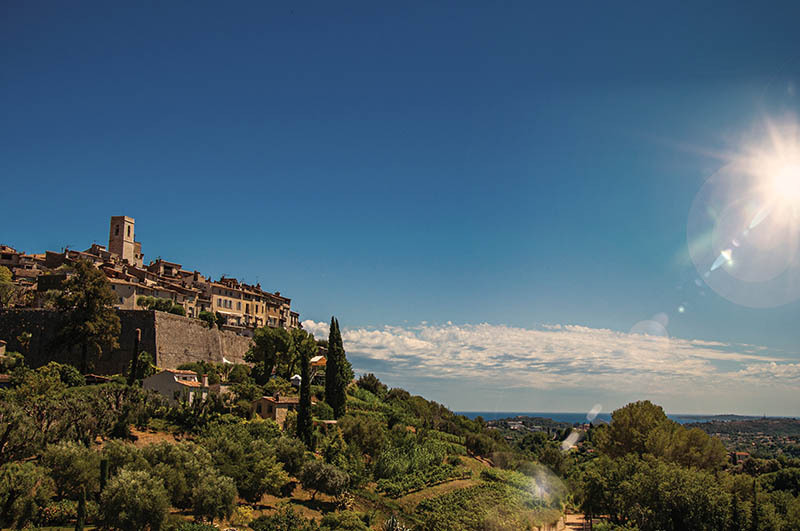 Next head down to the gorges du loup to enjoy the countryside, before stopping in Saint-Paul-de-Vence, famous for its art galleries. Back to the big city: Nice! Heading down, pass by Saint-Jeammet to avoid the heavy traffic. 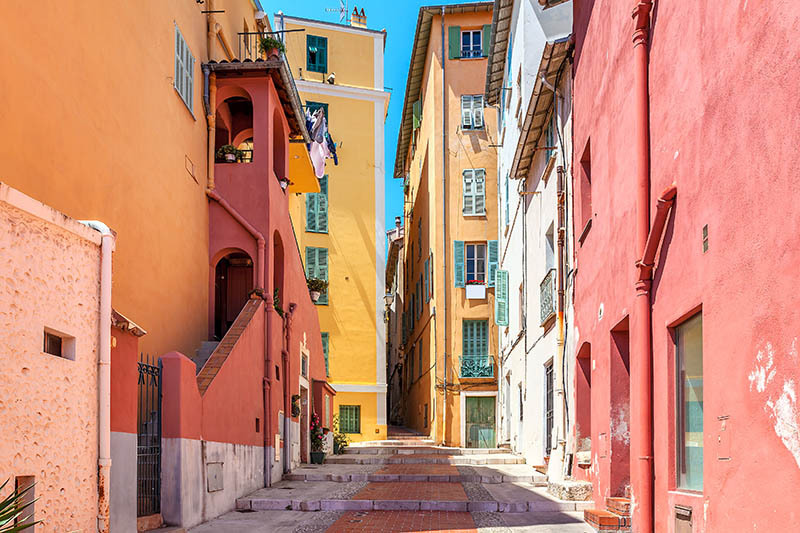 Some typical cities of the former county of Nice will be at the rendezvous, like Colomars. This recently built residential village is surrounded by beautiful pines, olive trees and vines. 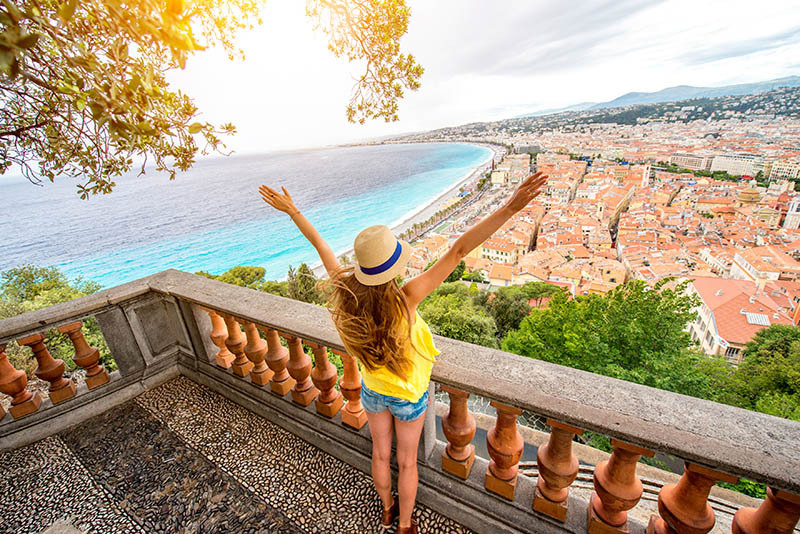 Arriving in Nice, skirt the capital of the French Riviera by walking along the famous Promenade des Anglais. Take time to look up and discover the city, to appreciate the architectural treasures of architecture from the palace facades to houses adorned with red and yellow ochres. 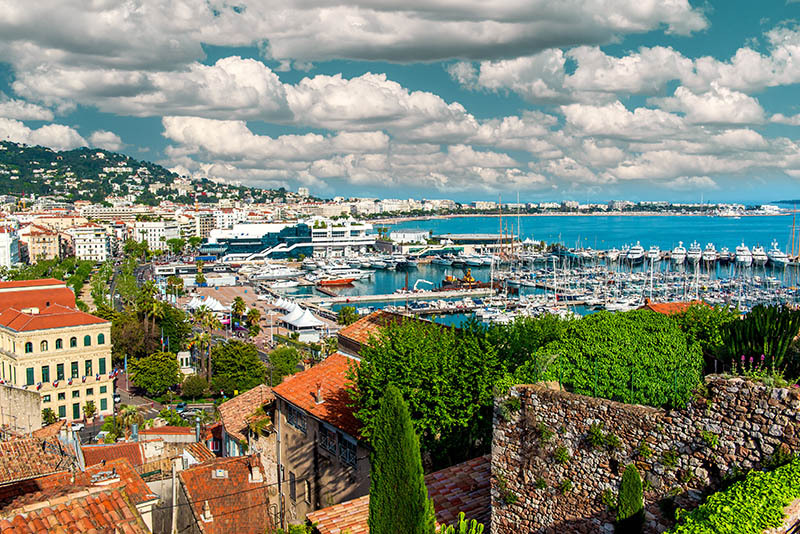 Take the morning to discover the old port, the old town or the Matisse museum … Then head towards Monaco. 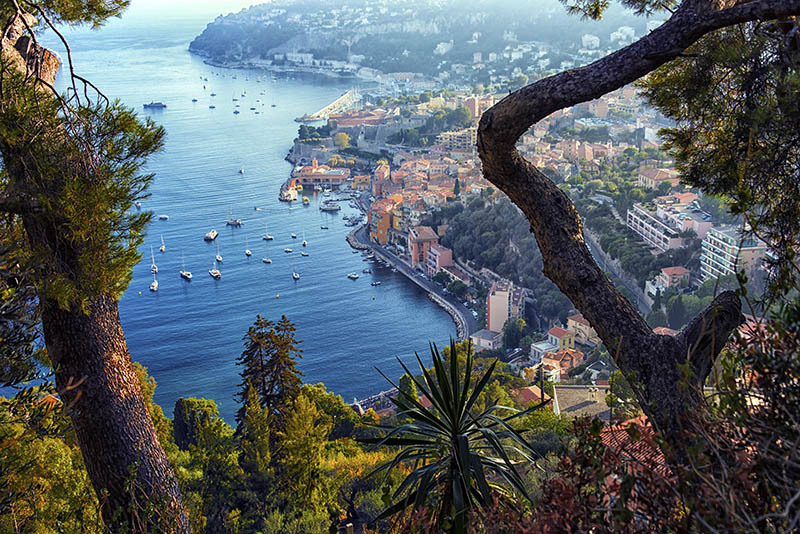 The epicenter of the “Rocher”, Monte-Carlo, with its maze of alleys, its palace and its ramparts, warrants a visit. Fans of marine life be sure not to miss the oceanographic museum founded by Cousteau! Finally, take the road to Menton, a charming Italian town on the country border. Relaxing and exotic, it deserves a longer stay if you can prolong the holiday by a day or two. 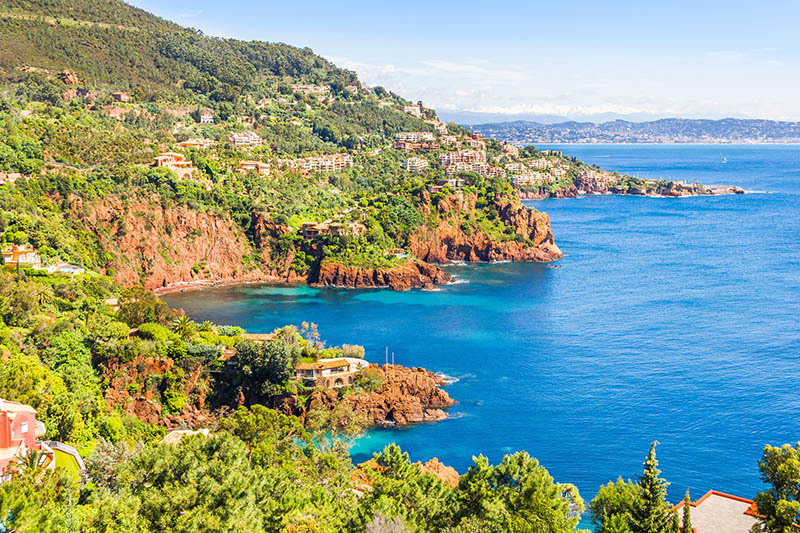 The French Riviera, from Saint-Tropez to Menton – a tour offered by MyTripTailor, a specialist in self-guided trip, enables you to create your holiday with ease. Personnalise your stage, Choose your accommodation, services and activities and book it directly online.